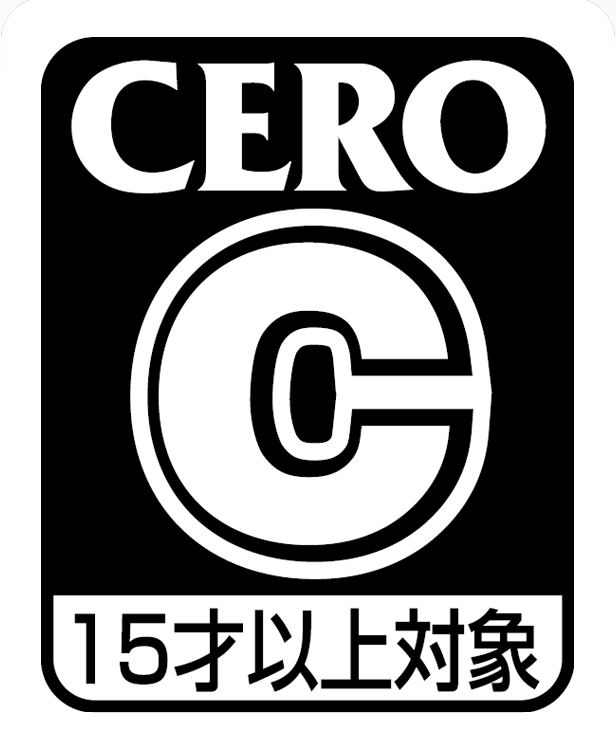 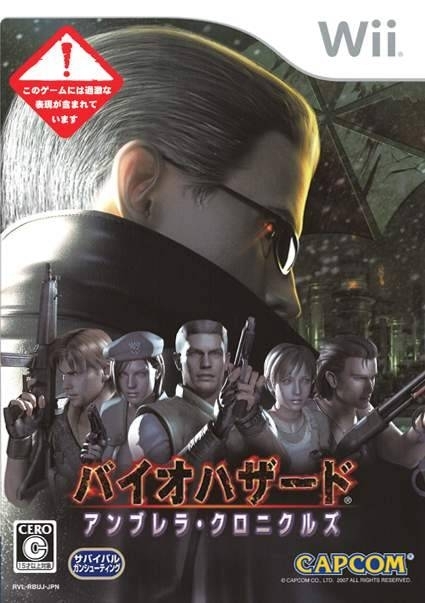 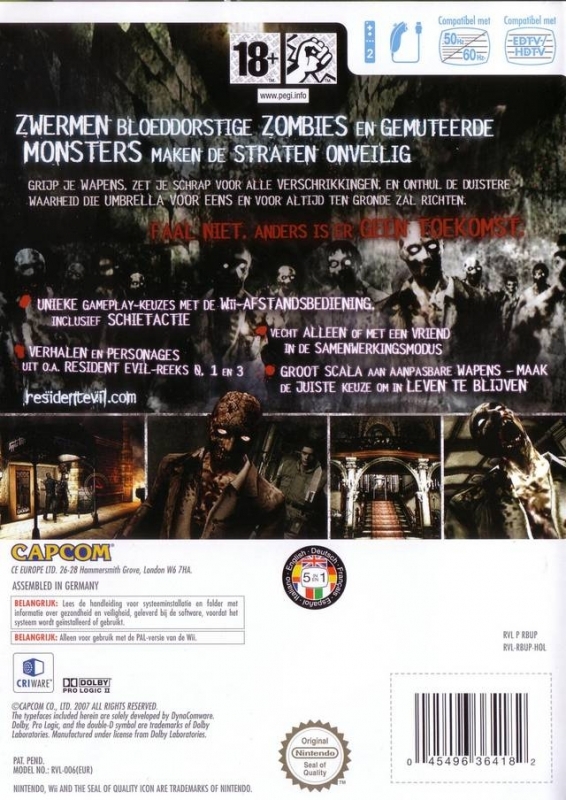 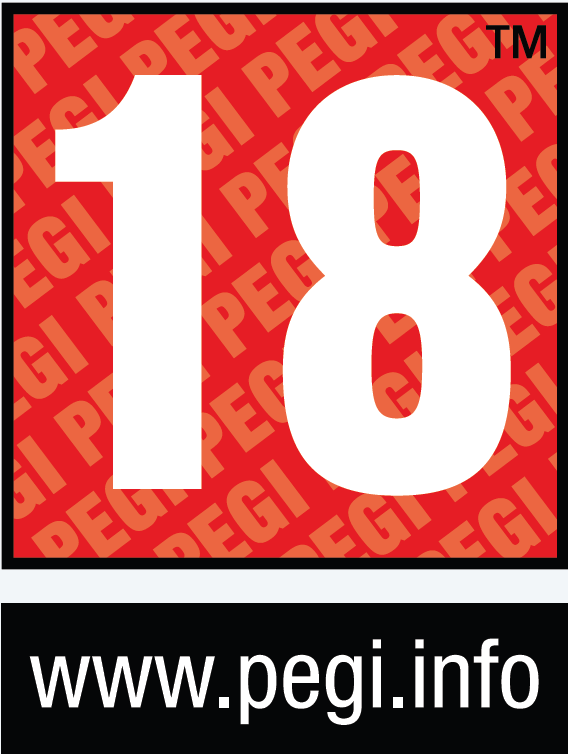 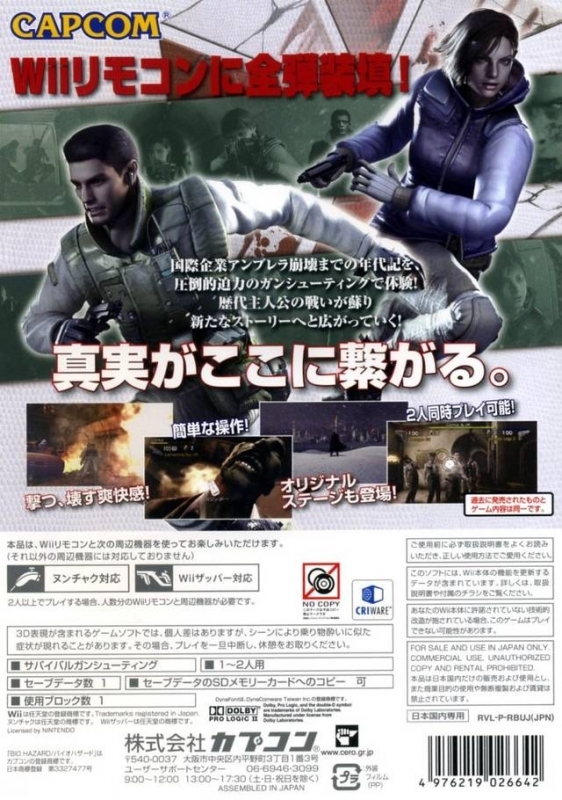 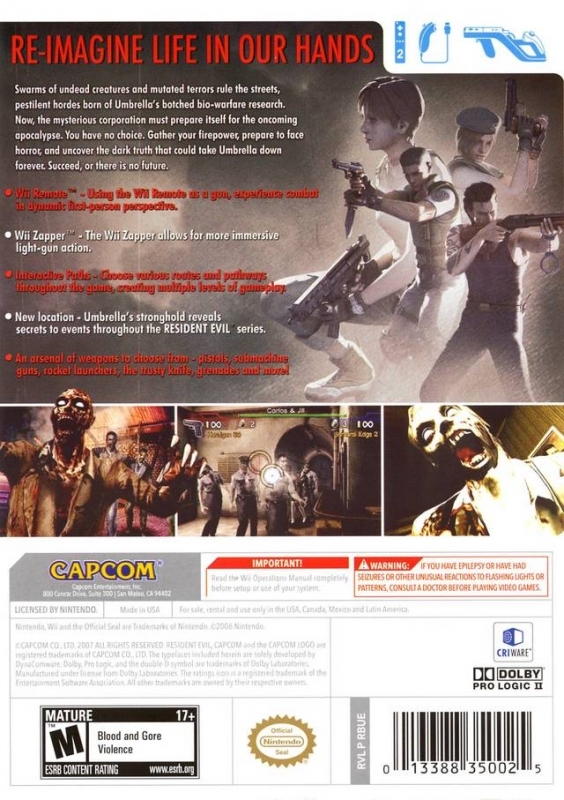 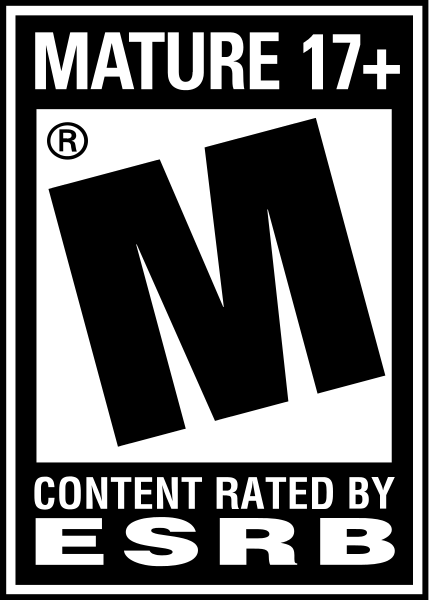 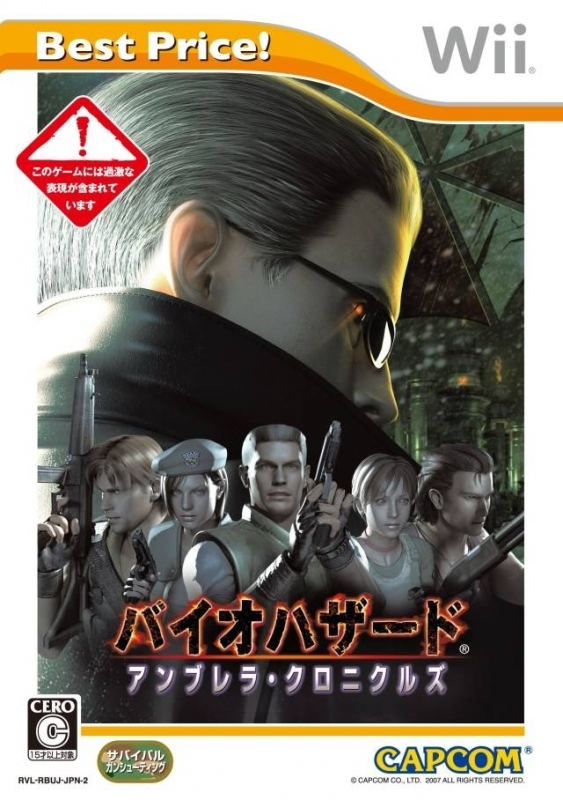 "Capcom's original Resident Evil offering for the Wii." 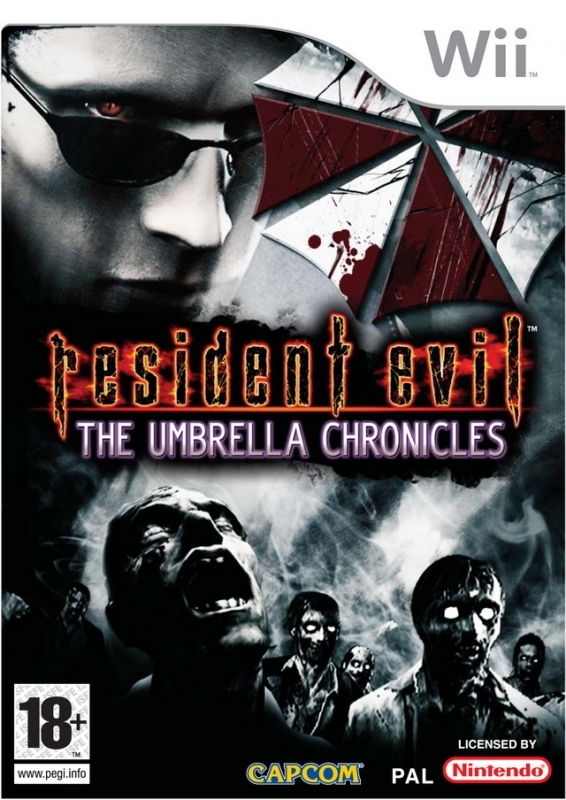 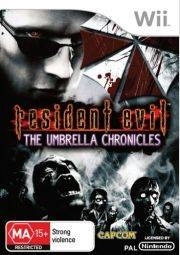 Resident Evil®: The Umbrella Chronicles is a brand new game in the Resident Evil® franchise, with familiar locales from the entire series. 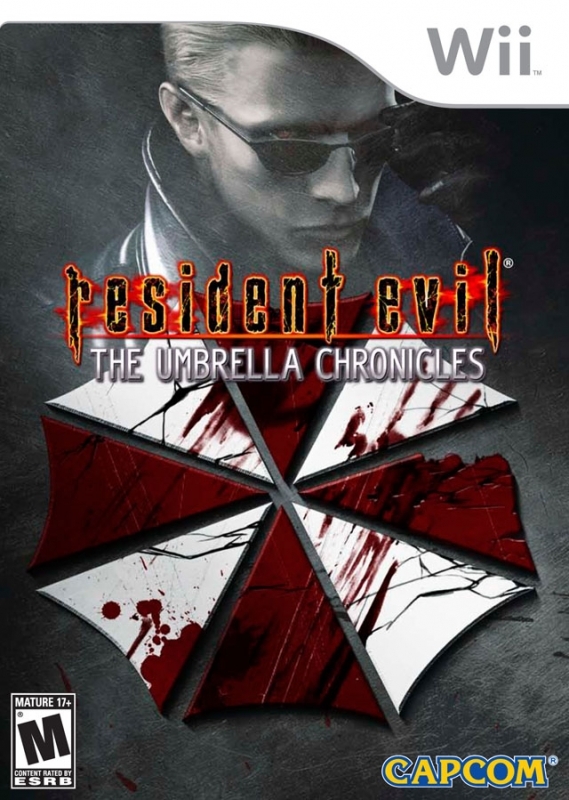 This action/shooter hybrid reveals the back story behind the fall of the Umbrella Corporation by exploring locations from Resident Evil 0, 1, 2 and 3 as well as new never-before-seen locations, such as Umbrella’s stronghold. 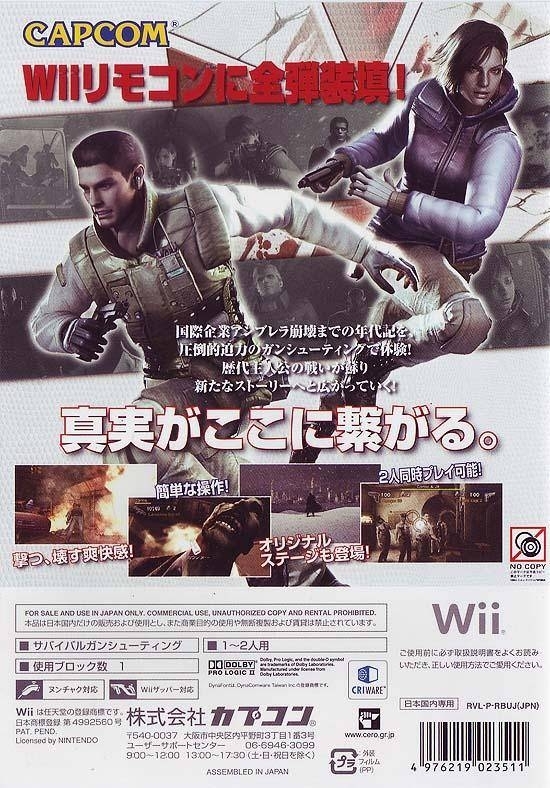 Using the Wii Remote™ as a gun, players can experience breathtaking combat against a horde of zombies and various creatures in dynamic first-person perspective. 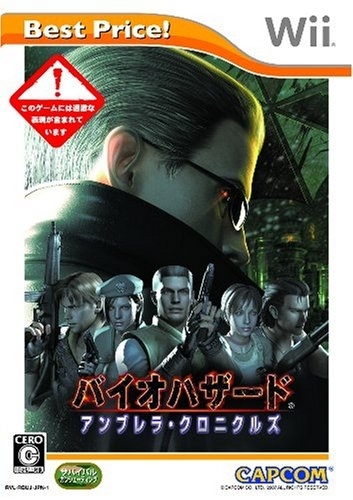 Classic locations from previous Resident Evil games in full 3D, including the mansion from the original and RE 0, and elements of Raccoon City from RE2 and 3. 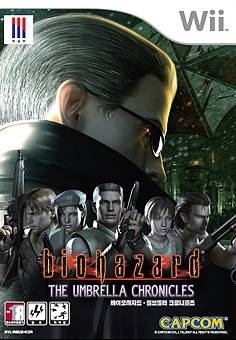 Umbrella’s stronghold, a new location, holds many secrets to events throughout the RE series.